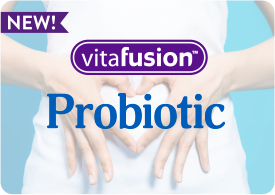 New from America’s #1 Gummy Vitamin Brand, vitafusion™ Organic gummy vitamins fuse together essential nutrients with the best organic ingredients into a deliciously yummy gummy vitamin! 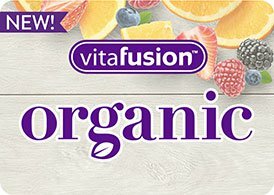 Made with 14 essential vitamins and nutrients, vitafusion Organic Men’s Multi is packed with a delicious blend of organic ingredients to give you the nutrition you need without anything extra. Our organic Men’s Multi is USDA certified and Non-GMO Project Verified so you know you’re really getting the good stuff! With no artificial flavors or sweeteners, no dairy and no gluten, these vegetarian gummies provide a vitamin experience you can feel good about.